Just two months after the iPhone 7 and iPhone 7 Plus launched, KGI Securities analyst Ming-Chi Kuo believes demand for the smartphones has "peaked" in line with a significant monthly shipment decline starting in November. Kuo predicted Apple's overseas suppliers will revise down their iPhone shipments by 5-15% in November-December due to lower-than-expected demand stemming from a lack of significant improvements. As the 4.7-inch iPhone 7, which accounts for a higher share of iPhone shipments, is in stock in the main global markets, we believe overall iPhone shipments have peaked. 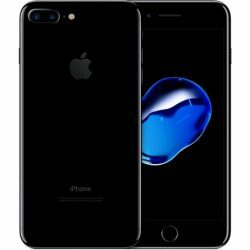 We think iPhone shipment forecasts will be revised down due to: (1) lower-than-expected demand due to a lack of spec surprises in the 4.7-inch iPhone 7; and (2) shorter times for delivering online orders of 5.5-inch iPhone 7 Plus, which implies slowing demand. We note that the out-of-stock phenomenon also results from fixed capacity, and is not only due to robust demand. In a research note obtained by MacRumors, Kuo noted that the out-of-stock phenomenon that typically follows a new iPhone launch results from fixed capacity, and is not only due to robust demand. Kuo reiterated his forecast of a possible year-over-year iPhone shipment decline in the first quarter of 2017 due to the lower-than-expected demand and fierce competition in China. Cool is out, practical is in for me. When my current iPhone fails or otherwise does not meet my everyday needs, time to buy a new. Until then, my cool days will be less often. This is just how it happens in the Apple world - more people buy iPhones the moment they're released. Other non-iPhones are usually bought on impulse or when someone's previous phone dies. iPhone 7… The "courage" to wait until next year. I was tempted, but I honestly said to myself, do I really need this for what I do? The Plus model would have been my choice, but I honestly didn't see the benefit. I settled for a 2 TB external drive so I could backup my MacBook Pro I purchased last year. Maybe next year I might consider it when its discounted with the launch of the iPhone 8. Why is Kuo to be believed? Why does his word carry more weight than Tim Cook's numbers? Would Tim Cook actually be lying about improving iPhone sales? I honestly don't understand how Kuo would have more insight to iPhone sales than any other analyst. Also his conclusions could be wrong. No significant upgrades brings about lower sales? What type of upgrade would boost sales? I'm willing to bet consumers aren't buying iPhones because they only intend to upgrade every so often and it's also possible that iPhone prices have increased globally and many more consumers can't afford to pay that much. I think most Samsung Note 7 users are going to wait for the Note 8. No iPhone would have been a substitute for a Note 7 because the Note 7 has such a different feature set. That S-Pen may be a big deal to those users and the iPhone has nothing like that. The whole smartphone market has peaked in general. Iphones and Androids they are all pretty good and long lasting these days, plus when you remove the carrier subsidies, than people just aren't going to rush for a new phone every year like before. Even midrange Androids and older model iPhones can do what the average person needs them to do, so unless you're a power user or have specific, cutting edge needs, there's no reason that compels the average person to go out and drop $750 on a phone. Faster than any other tech stock? I think not. Amazon was $844 5 weeks ago, $718 today. GOOGL down $80 per share since 10/25. Apple down $13 over the same time period. Apple's weakness has a lot more to do with Trump's threat of Chinese trade tariffs and ban on production outsourcing than it has to do with iPhone sales. By the way, neither of these concerns will ever amount to anything. Trump cannot force Apple to move production back to USA and he cannot, without wrecking our economy, impose 45% tariffs on Chinese imports. Apple investors should instead be paying attention to Trump's willingness to back a tax rate that will allow Apple and other techs to repatriate the trillions in overseas cash. 11.14.2016 Apple Stock is down significantly on this news today.....iPhone 7 will turn out to be a failure. Phil / Tim / Jony have repeatedly said that they are giving you exactly what you need right now, at this very moment ... it's just you aren't able to recognize it ... and Phil says it's up to him to help you through the choppy waters of their offerings.